The pace at which technology is getting advanced these days there is no denying fact that the impact of technology today is huge. Technology has made it possible for all of us to communicate with people all over the world through email, instant messaging, Skype, social media, etc. It has enabled us to strengthen relationships between friends, relatives and colleagues. The advancements in technology have greatly influenced the various fields like Healthcare, Education, Communication, Manufacturing, Banking, etc. For instance, technological improvements in health care have given a chance to doctors to treat their patients in a virtual environment using video conferencing as a medium. Technology has its own impact in the field of Education as well. From classroom teaching to online teaching, from blackboards to interactive whiteboards and from textbooks to iPads, technology brought a continuous transformation in the educational sector. Technology in classroom has made our learning world smaller so that everyone can have access to the education of the global classroom. With the emerging technologies in education changing the perception of learning, schools have integrated technology in classroom to enhance better learning and teaching. There will be even more changes in the future and this is what the future technology in classroom would be 1) Biometrics – Eye Tracking: With the increased privacy and security concerns becoming serious threats to organizations and individuals alike, there were many attempts made to combat the issues and biometrics evolved as the perfect solution. Biometrics are generally associated with the security industry and covers a variety of technologies in which unique identifiable attributes of people are used for identification and authentication like a fingerprint, iris print, retina recognition, hand, face, voice, gait or signature recognition. 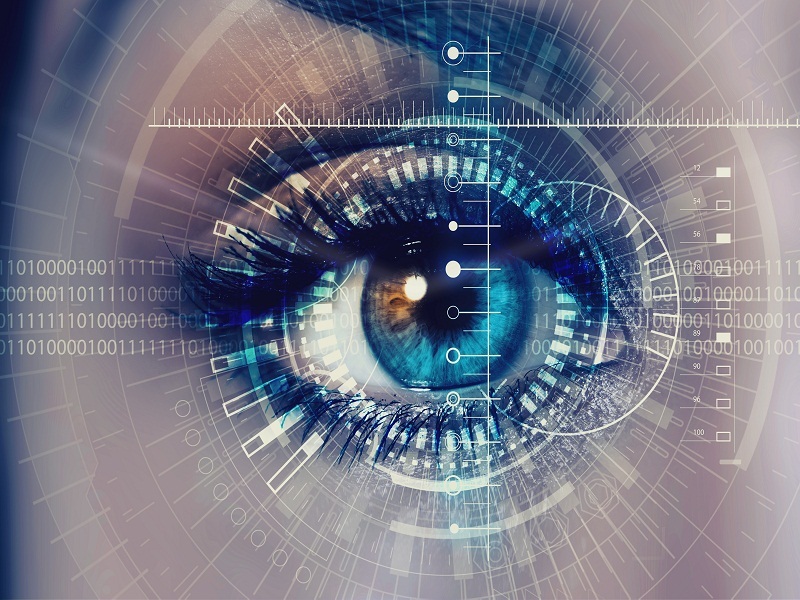 In terms of education, biometrics can be used to understand the performance of the students using their physical traits, for example, consider the eye-tracking technology, that can be used to see how students respond to learning in the class. An analysis can be conducted on every student using the above technology to ascertain and assess how students learn during online sessions by capturing their eye movements. Depending upon the data collected from the analysis, teachers can easily identify and recognize which student needs additional assistance and work on it. 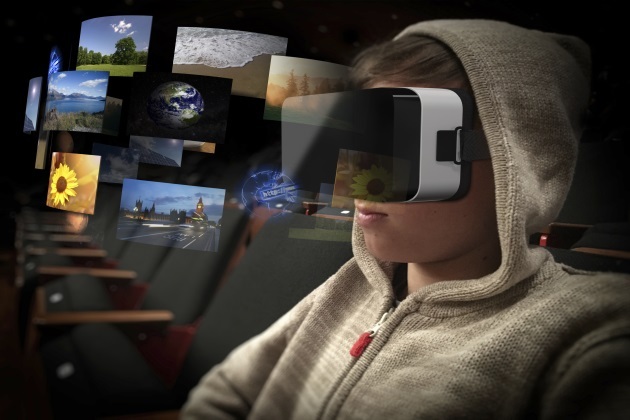 2) Virtual and Augmented Reality: This future technology in classroom is where the students are each given a pair of virtual reality headsets and 3D moving images appear in front of them.This is an amazing technology that turns concepts into reality and puts a digital layer over the real world. The augmented reality technique gives additional information, bring models to life and enhances the overall learning experience for students. AR displays can be rendered on devices resembling eyeglasses; versions include eyewear that employs cameras to intercept the real world view and re-display its augmented view through the eye pieces and devices in which the AR imagery is projected through or reflected off the surfaces of the eyewear lens pieces. This is a more engaging, interactive method of teaching and is expected to gain momentum in the near future. 3) Multi-Touch Screens: From blackboards to interactive whiteboards, we can see a major transition in classroom learning over the past few decades. This technology in classroom is where a giant LCD screen that is capable of generating images, sounds and videos, is attached to a computer. 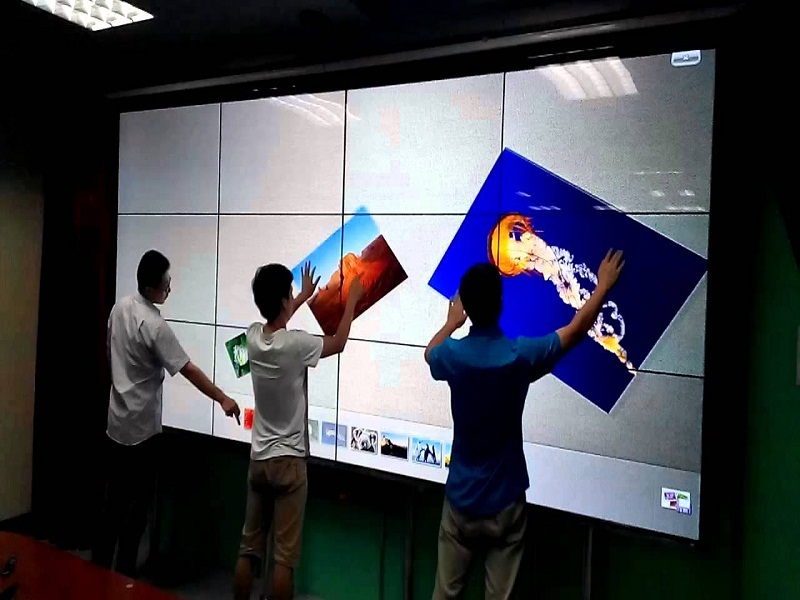 The screen is capable of detecting multiple touch inputs from many students simultaneously and helps teachers and students work collaboratively on projects and presentations. The multi-touch surfaces will allow students to collaborate with their peers using the social networking future. These smart, interactive displays will quickly become the hub of classroom or business in future engaging students in global collaboration. In the future, education will no longer be restricted to conventional schools and classes. Using augmented reality, interactive displays and adaptive learning systems utilizing eye tracking technology, learning is believed to go beyond the classrooms. Geographical boundaries and time constraints will be eliminated with the continuous advancements in technology in education.